No serious diseases or pests occur for creeping lilyturf. 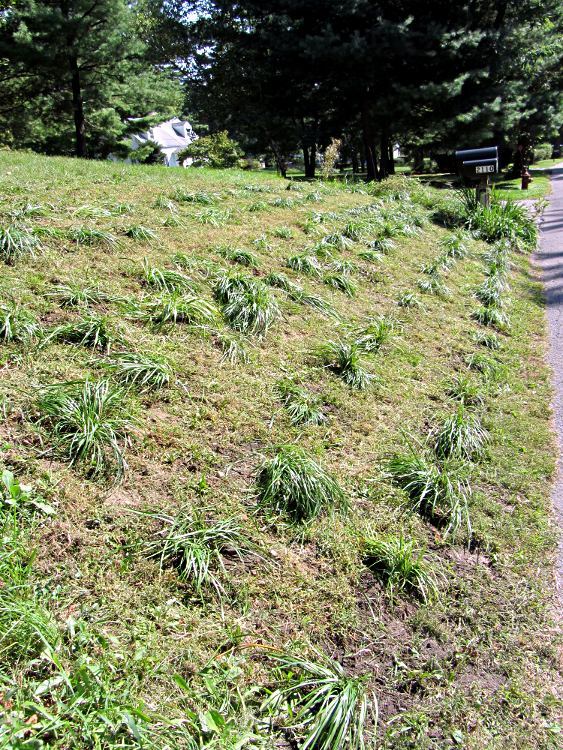 […] Lilyturf is reported to have little wildlife value. Translation: nothing kills the stuff and deer don’t eat it. Sounds like exactly what we need for the section of the front yard that slopes down to the road, where mowing poses a threat to life & limb. They’re a few miles off the south end of the Dutchess Rail Trail, which is (by definition) pretty much dead flat and made the trip a lot easier: that load of grass added up to 55 pounds! They dropped off a few bags on their next trip past our house, which tells you how much they wanted to get rid of it. 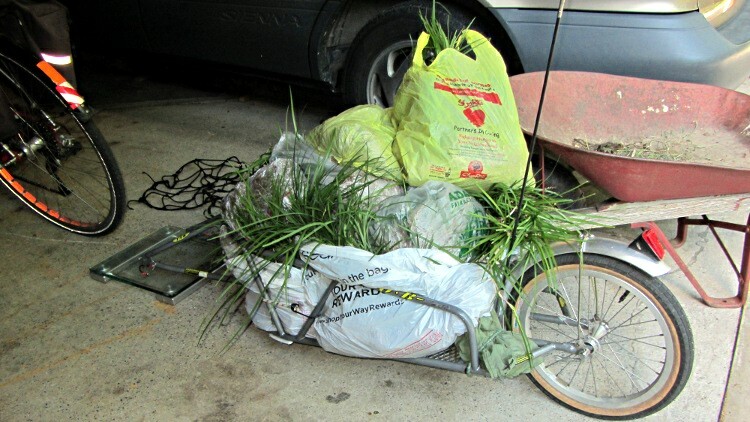 This entry was posted on 2012-09-29, 07:01 and is filed under Home Ec, Recumbent Bicycling. You can follow any responses to this entry through RSS 2.0. Both comments and pings are currently closed. Uhhh… want some kudzu? ‘Cause it’s disease proof, inedible, and laughs at any herbicide you throw at it. Just sayin’. Doesn’t grow this far north… yet, anyway. Otherwise, it’d be on that patch like static cling! The strangest things can grow like wildfire. When I was young my parents planted some lupin seeds and they came up nicely. The next year they’d increased their numbers tenfold. The year following that they were in the entire garden. Strangely they seem to have died out since; perhaps they couldn’t stand a particularly harsh winter or something.